Decorate your home with a beautiful living Christmas tree that will go back to nature. Enjoy the company of a living, fine quality Christmas tree that will be delivered and picked up on the day of your choice. After spending the Holidays with you, your Ecosapin will go back to nature where he belongs. 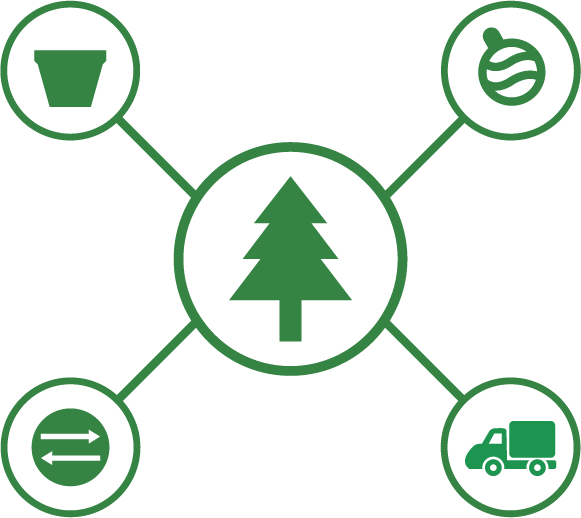 Enter the NPA where you want your Ecosapin to be delivered. In Switzerland, the NPA consist of four digits, every town has its own NPA, for example : 1052 for le Mont-sur-Lausanne.